It was Brighton's first win in four league matches and lifted the south-coast team into 11th place. HUDDERSFIELD: Brighton responded to conceding the fastest goal in the English Premier League this season to beat 10-man Huddersfield 2-1 on Saturday. Mathias Jorgensen headed Huddersfield in front after 55 seconds after a defensive mix-up but the hosts played the final hour with 10 men following the dismissal of striker Steve Mounie, who was handed a straight red card for a studs-up tackle. 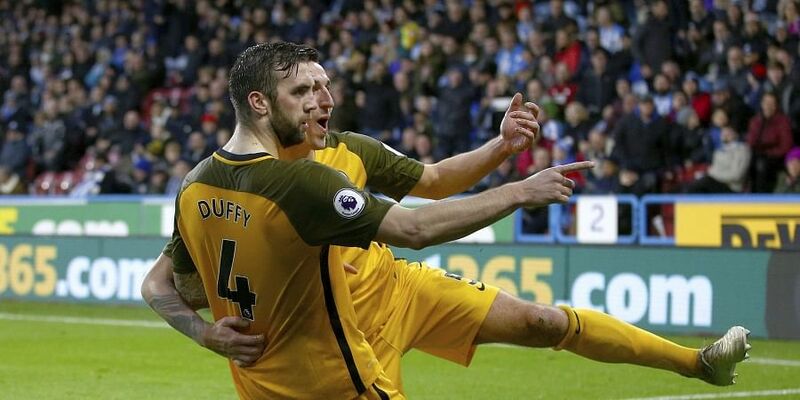 Brighton equalized in first-half stoppage time through Shane Duffy's towering header and made its numerical advantage tell in the second period, with Romania striker Florin Andone's 69th-minute strike, his first goal in English football, clinching victory.